We are a respected visual and 3D arts group, based in the hills of the Pennines, Yorkshire, England. Our members hail from the South Yorkshire market town of Penistone and from the nearby villages of Bolsterstone, Oxspring, Silkstone, Silkstone Common, Thurgoland and Thurlstone. 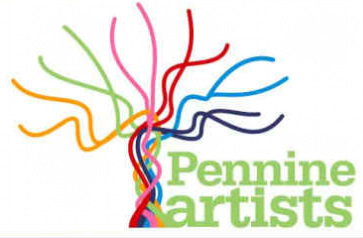 Members include painters, potters and printmakers, textile and digital artists, an illustrator/cartoonist, and a toy and automata maker. Please take a look at our News page for other news (excerpts opposite), and at the Events Calendar for individual members' activities.